When Aetna knocks, most people would run to the door. But that wasn’t the case when Thomas Wynn, Head of Print Management at Aetna reached out to me. He requested Project Peacock come to his office and meet with his print production and creative teams. 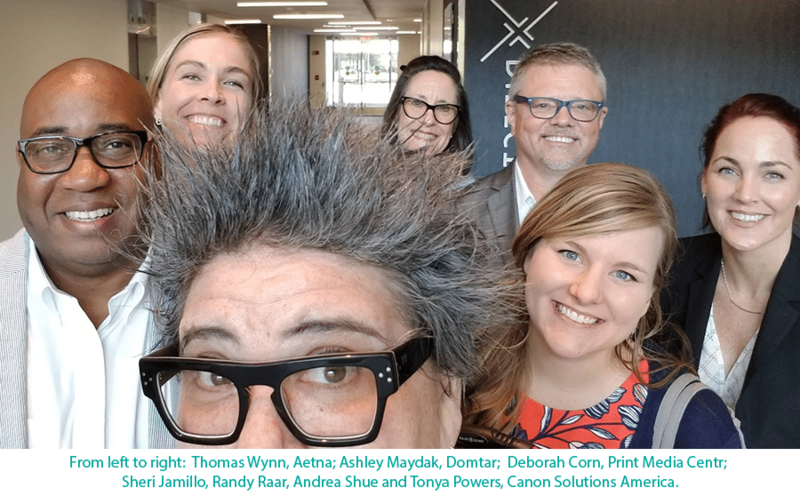 Project Peacock is a digital print show-and-tell I have been bringing into the conference rooms of agencies, corporations and brands since Jan 2017 with my partners Canon Solutions America, Domtar, Scodix, and Miralupa. Project Peacock hits 4 cities for 3 days each, during the year. With our schedule mapped out for 2018, Aetna wasn’t going to be among the visits. I sent my sincerest regrets with an offer to come to see them in 2019. Thomas decided he wasn’t taking no for an answer. He got on the phone with his print partners, and at least one of them called Canon Solutions America to see if anything could be done to get Aetna a visit. Emails went back and forth. Calls were made. When I found out the lengths that Thomas went to have a visit, I joyfully rerouted our July trip to land in their office. 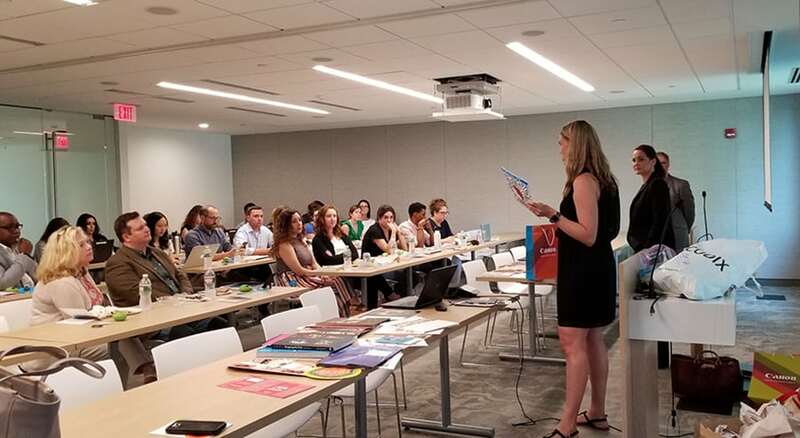 To recap… A GIANT BRAND went through all of that to get some unsolicitous education about new opportunities with digital print. We had 30ish in attendance and more were listening in from remote locations. The meeting provided an opportunity for us to share best practices for choosing the paper, ink and output device to achieve the best results for their projects, and some very relevant print and paper samples. Once we got into it, the buyers and creatives in the room started to collaborate on their needs. A discussion to assess their current vendor pool and reassess their BRAND GUIDELINES based on the new ink, paper and press technology we presented, began. It was so damn cool Project Peacock was the catalyst for that. It was so rewarding to see Team Aetna inspired by ink on paper and ink on substrates… and they even had some fun with Bob, our feisty augmented reality peacock created by Miralupa. Team Project Peacock left Aetna equally enthused and elated that our presentation had been received so well and headed for NYC and our next event, the next evening, with the Advertising Production Club of NYC… in a place called Printers Alley no less! This was the first event I planned out in public vs inside a conference room, so everyone was welcome to attend… and they did. Print buyers from agencies, brands, and corporations like AMEX and NY Life. 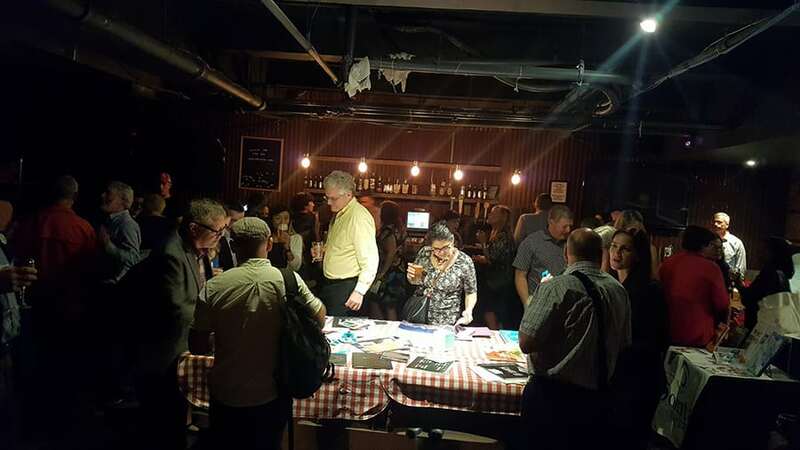 Designers, marketing people and for the first time Printers were invited to attend and learn about new applications as well as mingle with customers. The space we had was a little dark, but we transformed the pool table into a sample table. When the spotlights went on it created an amazing atmosphere that literally became the focal point of the room. Around that table collaboration between colleagues, between attendees, between printers and print customers, between Project Peacock partners and attendees, began. Project Peacock has outgrown its current iteration and is transforming into 2 new opportunities that are open for ALL COMPANIES with products or services that are relevant to print customers… and not just digital printing… ALL OF IT! 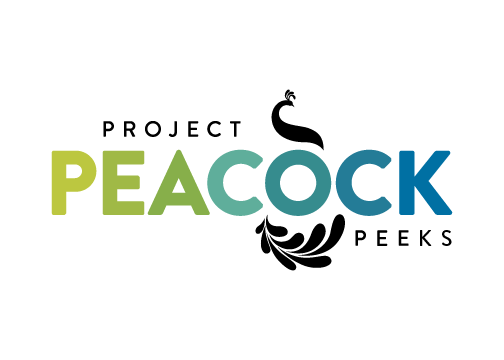 Project Peacock Peeks starts filming August 9th with Canon Solutions America, Domtar, AGFA, and Ricoh. I am proud to be working with Inkish.TV who will be directing, shooting and producing this series of educational videos. Special thanks to the Association for Print Technologies (APTech) for sponsoring Project Peacock Peeks and helping the print community connect in new ways. Project Peacock Print Fair will roll into 4 cities in 2019 as a pop-up event! Partners will have the opportunity to show off applications and relevant products to print buyers, creatives, brands, and printers. These events will be limited to 20-25 tables, max. If you are interested in securing one, please reach out as soon as possible. Printers, this isn’t for you… but don’t worry… your opportunity to strut your stuff to print customers with Project Peacock is not far behind. My undying gratitude to Canon Solutions America, Domtar, Scodix, and Miralupa for helping me share printspiration with over 600 attendees since Project Peacock took flight. You have paved the way for bigger printspiration doors to be opened for all of us. THANK YOU! Follow #ProjectPeacock for fun from the Peeks road trip with Inkish.TV, and info on upcoming Project Peacock events and partnership opportunities. This was a terrific event. I was happy printers were able to attend. 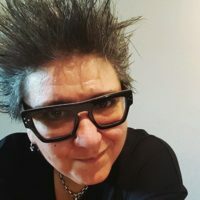 Thanks, Deborah and the Project Peacock team.